Kingsport, Tenn. –Over 750 fourth grade students from Kingsport, Sullivan County, and Bristol are registered to attend the annual Conservation Camp for Fourth Graders, to be held September 4, 5 and 6 at Eastman’s Bays Mountain Recreation Area. Republic Services marks its 8th year as the Title Sponsor for Conservation Camp. “Keep Kingsport Beautiful conducts this camp each September, with the support of Republic Services generous sponsorship. In addition, Eastman has again donated the use their Bays Mountain Recreation Area, which is a great facility that includes covered picnic shelters and playgrounds. Additional assistance comes from area organizations and industries that provide the instructors for our learning stations,” says Robin Cleary, Director of Keep Kingsport Beautiful. Conservation Camp introduces students to a variety of environmental learning activities. Students will rotate through 13 stations, ranging in topics “Rocks for Kids-Geology, Rock Life Cycles, Fossils and Plate Tectonics” by the Tennessee Department of Environment and Conservation, “Forest Fire Control” by the Tennessee Division of Forestry, “Making Paper and Forest Conservation” by Domtar to “A Glimpse into the Culture of the Southeastern Native Americans” by the Remnant Yuchi Nation. Volunteer presenters from various agencies, companies and organizations provide the educational programming. 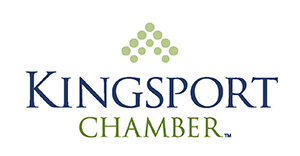 Keep Kingsport Beautiful is a cooperative program between the City of Kingsport and the Kingsport Chamber. An affiliate of Keep America Beautiful, the program has won more than 70 state, regional and national awards.